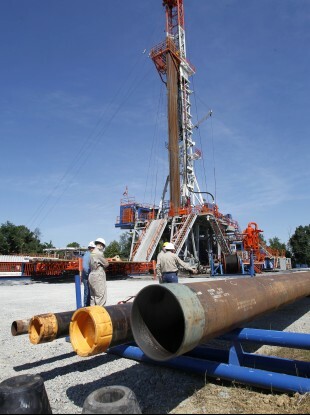 Poll: Should we ban fracking in Ireland? Clare County Council has agreed a total ban on fracking and is urging the government to implement a national ban on the process, but what do you think? CLARE COUNTY COUNCIL has in principle agreed a total ban on the process of ‘fracking‘ and has urged the government to ban the practice of extracting shale gas nationwide. Proponents of the practice argue that there is a serious economic benefit to extracting the gas from deep beneath parts of Cavan, Leitrim, Roscommon and Sligo in terms of revenue and jobs but those against have raised concerns about the possible contamination of water supplies. Energy and Natural Resources Minister Pat Rabbitte has already ordered that the Environmental Protection Agency (EPA) carry out a review of the process. But do you think fracking should be banned in Ireland? Email “Poll: Should we ban fracking in Ireland? ”. Feedback on “Poll: Should we ban fracking in Ireland? ”.